This cute little Dresser can be found on SCS. It is one of their Holiday Blitz Tutorials. I just love, love, love 3-D projects. 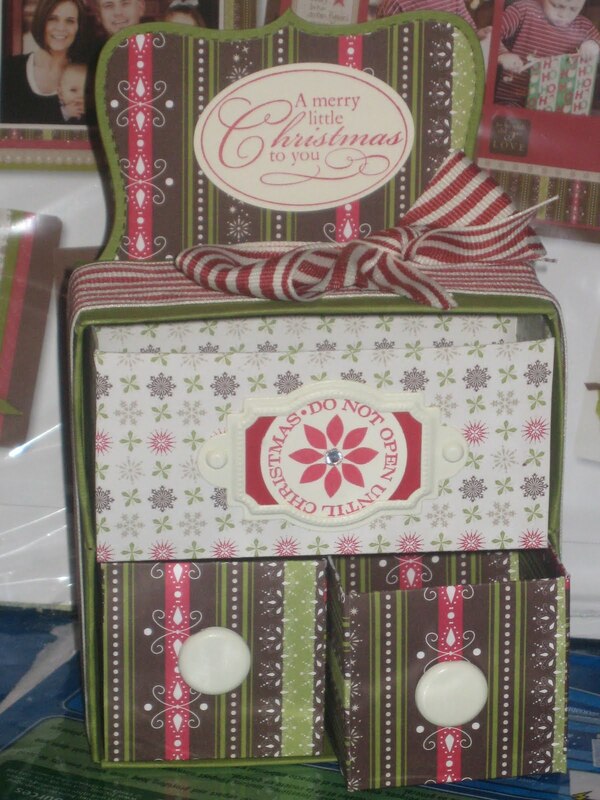 I used the "I Wish" Simply Scrappin' Kit (retired). Now all I have to do is figure out what to put in the 3 drawers and who to give it to. As always....thanks for buzzzing by. Nice drawer's i really love it.I will recommend this to my friends..